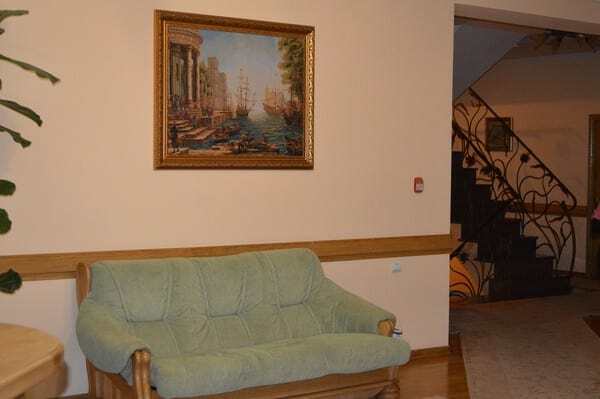 The hotel "Europe" is located in the central part of the town of Brody, 200 meters from the Maidan of Freedom. The first floor of the complex consists of a cafe-bar, a hotel suite and a service room. The second, third floor - one and two bedroom comfortable rooms for every taste, equipped with TV, cable TV and free Wi-Fi. A hairdryer, electric kettle and iron and ironing board are available upon request. The hotel "Europe" has a restaurant, where you can order meals on the menu. The territory has a closed, secure free parking and a POS-terminal, which allows you to pay by card. Hotel Europa is located 1.9 km from the railway station. 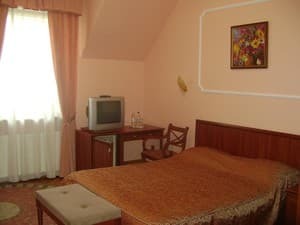 Description of the room: Room with separate beds, furniture, hotel cosmetics, a sink with hot and cold water. Common shower and toilet for three rooms. Hot water is supplied around the clock. 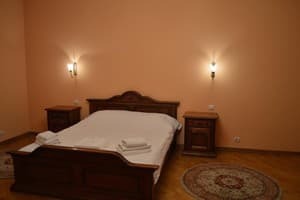 Description of the room: Rooms with a double bed or separate beds, modern furniture, hotel cosmetics, a bathroom with a shower. Hot water is supplied around the clock. There are rooms with air conditioning. 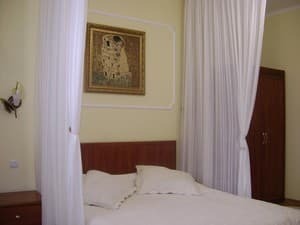 Description of the room: Room with double bed, modern furniture. Hot water is supplied around the clock. Description of the room: Two rooms with living room and bedroom. In the bedroom - a large double bed. 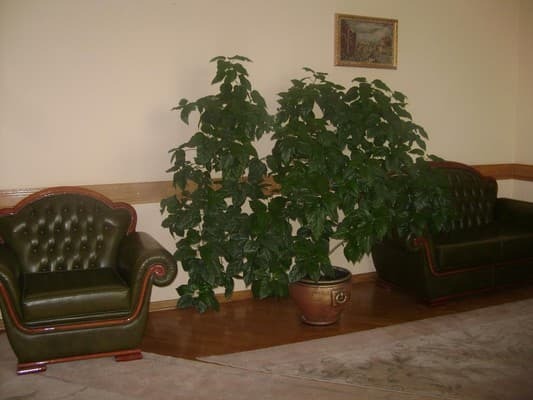 In the living room - folding sofa. Hot water is supplied around the clock. Довольно чисто и понятно. Есть все на три звезды. Неудобная лестница. Большие сумки поднимать не удобно. 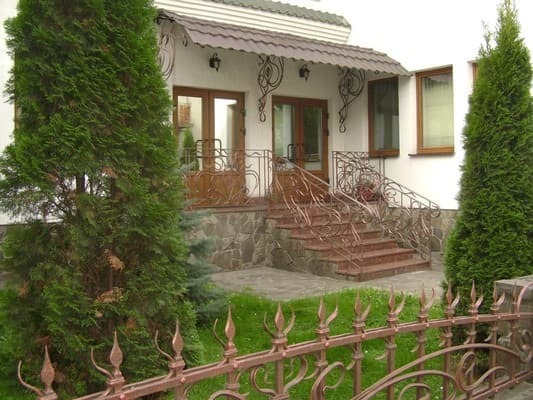 Дорогой и медленный ресторан. Готовят не вкусно. Качество обслуживания, внимательность, понимание и вежливость. Завтрак, можно было порядком лучше. Все отлично, за исключениям что Интернет не хорошо работает! Можно сказать совсем на 3 с 10! Скорость минимальная! Children under 6 years stay free of charge. The cost of extra space is 100 UAH per person per day. On the territory of the hotel "Brody" there is a restaurant, where you can order meals from the menu. Approximate cost of breakfast is 60 UAH per person. 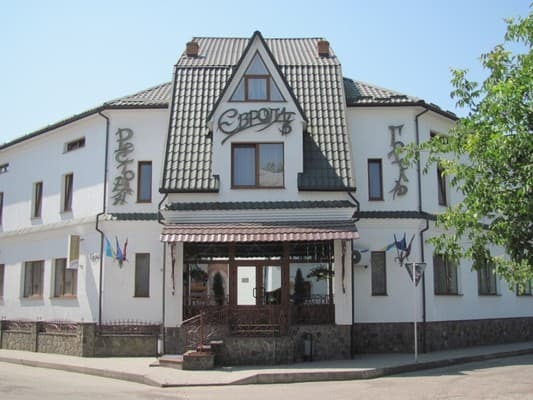 The hotel "Europe" is located in the central part of the town of Brody, 200 meters from the Maidan of Freedom. 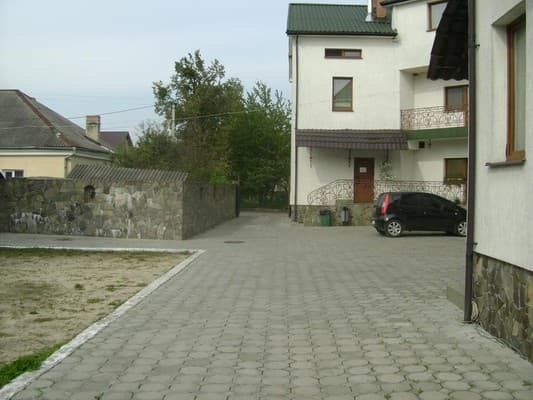 The distance to the bus station is 2 km, to the railway station - 1.9 km, to the city of Lviv - 108 km. Directions from the railway and bus station by taxi for 5 minutes (from 15 UAH). By car: Kyiv-Lviv highway from Radyvyliv 1.5 km, the first crossroad to the left, 1 km to the right of the complex. Route Lviv-Kiev - railway crossing directly through the 1.5 km crossroads (the main road goes to the left) and right after 200-250 m from the left side of the hotel-restaurant "Evropa" (behind the sign "brick" a detour of the sign from the right side). From Radekhov - the third intersection to the right (to the left - the dairy) through 1 km to the right of the complex.